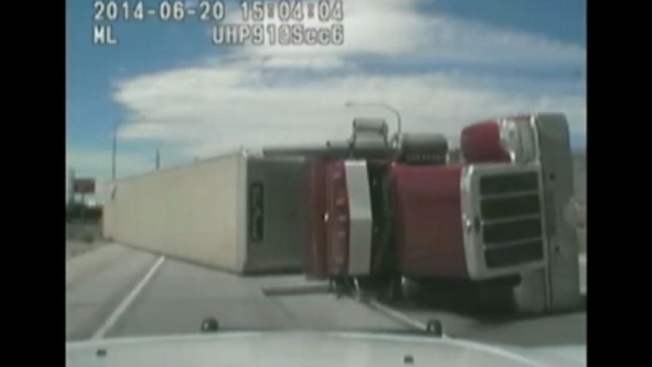 A semi-truck carrying a load of cattle flipped on its side Friday on a Utah highway. While turning onto I-15 heading east, a truck driver took a sharp turn and lost control of the vehicle. Out of 78 head of cattle, at least three died and several others were wounded, police told KSL. A Utah Highway patrol officer witnessed the crash and responded immediately. 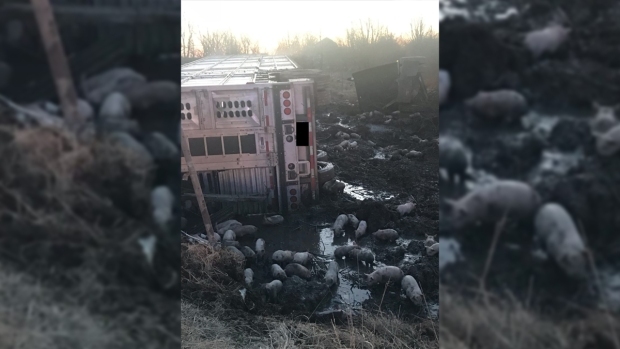 Firemen cut open the 18-wheeler to rescue the animals. The state’s Highway Patrol has labeled this particular turn as problematic, and have put up flashing lights and extra signs to warn drivers of the sharp curve ahead, KSL reported. Police said the driver exceeded the recommended speed of 30 mph and was uneasy after the crash but did not require medical attention.